Memorial service for Ebb C. McDuffie, 80 of Lawton will be at 10:00 a.m. on Saturday, September 8, 2018 at Lawton Ritter Gray Funeral Home. Mr. McDuffie passed away on Wednesday, September 5, 2018 in Lawton. Ebb was born on July 27, 1938 in Oklahoma City to Everett J. and Christeen (Mavity) McDuffie. He grew up in Lawton where he attended school, graduating from Lawton High School in 1956. He attended Cameron College before enlisting in the United States Army in 1963. He took basic training in Fort Polk, Louisiana and was sent to DASA Sandia Base in New Mexico for Nuclear Weapons training. He was then transferred to Fort Bliss, Texas and was separated from the service in 1965 at Fort Bliss. He then served in the Army Reserves and served until 1979. He was a Vietnam Era Veteran and received many awards and medals including the Good Conduct Medal, National Defense Service Medal, Army Reserve Achievement Medal, Sharpshooter Rifleman Medal, with one M1Bar, and the Expert Rifleman with M14 and M16 Bars. Ebb married Elaine Johns on January 9, 1974 and they lived in Apache for many years before moving to Lawton. Ebb worked in the Auto Salvage business for 50 years before retiring. 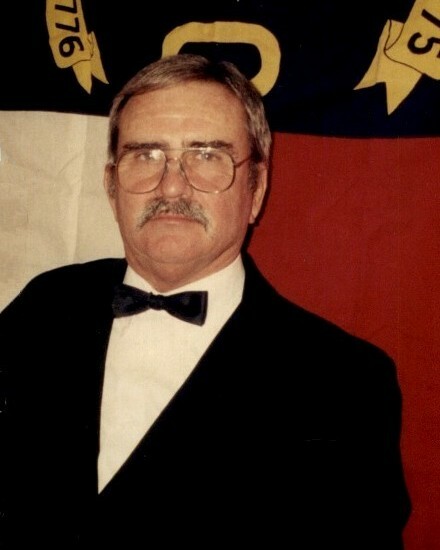 He was a member of the American Legion, the Sons of Confederate Veterans, the Morgan's Men Association, the First Families of the Twain Territories, and the McDuffie Clan Society of America, Inc. He is survived by his wife, Elaine, of the home; his children and their spouses, Jack E. and Natalie Bard, of Cotopaxi, Colorado, Vicki and Rusty Blanchard, of Lawton and Lisa and Ronald Cox, of Lawton; his grandchildren and their spouses, Bryan Blanchard, Sarah and Mark Tunoa, Adam and Carrie Topash, Daniel Topash, Michael and Kristy Topash, Randy and August Cousins, Dustin Wolf, and Christian Plotkin; 11 great grandchildren; and his cousins, Mark and Linda Woodard, Tom McDuffie and Mr. and Mrs. John Ford. He was preceded in death by his parents; his sister, Sandra; and his brother, E.J.